The Institute of Chemistry was founded in 1935 on the basis of departments of chemistry and applied chemistry in a newly established Azerbaijan branch of Academy of Sciences of USSR. The organizer and the first director of the Institute of Chemistry was corresponding member of the Academy of Sciences of USSR Konstantin Krasusky who was invited to Azerbaijan in 1929. Later on the Institute was directed by professor Mammadamin Efendi (1937–1941), professor Shikhbala Aliyev (1941–1943), corresponding member of Azerbaijan Academy of Sciences Shamkhal Mammadov (1943–1949), corresponding member of Azerbaijan Academy of Sciences Heydar Efendiyev (1949–1967), academician Izzat Orujova (1967–1971), corresponding member of Azerbaijan Academy of Sciences Zulfugar Zulfugarov (1971–1983), in 1983–1985 corresponding member of Azerbaijan Academy of Sciences Telman Gurbanov held the post of director, and from 1985 to 2002 academician Ramiz Rizayev was director of the Institute. In 1965 by the resolution of the Presidium of the AS of USSR and the Council of Ministers of Azerbaijan SSR the Institute of Chemistry was renamed to the Institute of Inorganic and Physical Chemistry. Prominent scientists corresponding members of the AS of USSR Simon Roginksy, Victor Gutirya, academicians Murtuza Nagiyev, Habibulla Shahtakhtinsky, Soltan Mehdiyev, Bahadur Zeynalov, corresponding members of AS of Azerbaijan SSR Mammad Movsumzade, Bilal Dadashov, Vsevolod Negreyev and others worked at the Institute. 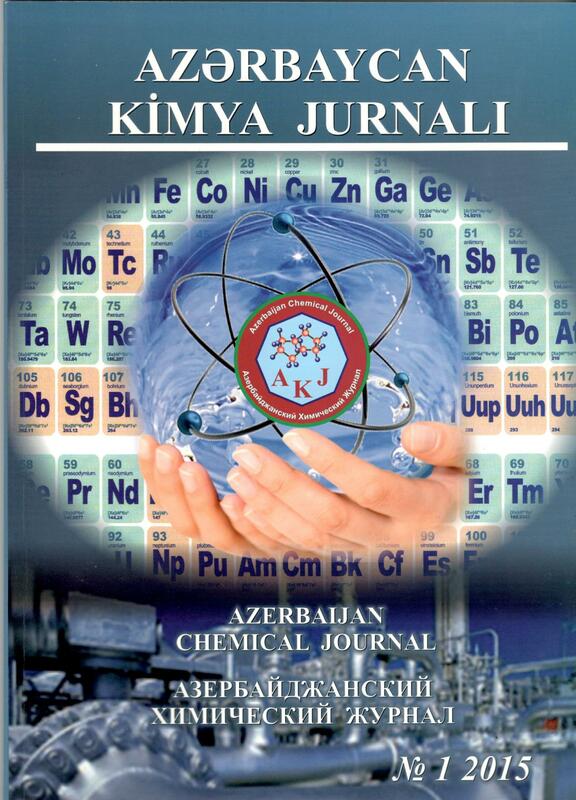 Afterwards academician Ramiz Rizayev, corresponding members Zulfugar Zulfugarov, Telman Gurbanov, Khudu Mammadov, Pasha Rustamov, Ali Nuriyev, Ajdar Mejidov, Mubariz Ahmadov, Yuriy Litvishkov and others have successfully developed the scientific researches. The institute has become known as a scientific center outside the republic. Nakhchivan Regional Center was founded on the basis of the Institute of Inorganic and Physical Chemistry of Azerbaijan AS by the resolution of the Presidium of Azerbaijan Academy of Sciences from 7 July 1972 on the initiative of the national leader Heydar Aliyev. The main responsibility of this center was a comprehensive study of the natural raw materials resources of Nakhchivan Autonomous Republic and development of scientific bases for their effective application. In different years the scientific center was directed by academicians Togrul Shakhtakhtinsky, Maharram Mammadyarov, corresponding members Telman Gurbanov, Ali Nuriyev and others. Later on Nakhchivan Regional Scientific Center continued its activity as part of the Nakhchivan department of ANAS from 7 August 2002 by the resolution of the head of government who gave much attention to the development of science. In 1981 by the resolution of the Cabinet of Ministers of Azerbaijan SSR Special Design-Technology Bureau for Complex Processing of Mineral Raw Stock was founded at the Institute of Inorganic and Physical Chemistry. The main directions of scientific-technical activity of the organization are processing of mineral and natural raw stock, development of technologies of producing new substances and materials for application in industry, preparation of project-constructive and normative technical documents in the processes of the industry, introduction into industry on a commercial and experimental scale. In 1965 the Institute of Theoretical Problems of Chemical Technology of Azerbaijan Academy of Sciences (ITPCHT) was founded on the base of Department of Theoretical Problems operating under the direction of academician Murtuza Nagiyev at the Institute of Petrochemical Processes. The founder and first director of ITPCHT academician Murtuza Nagiyev headed this Institute until 1975. ITPCHT was the only institute on the territory of the USSR which explored the problems in important fields of chemistry. In 1991 by the resolution of the Council of Ministers of Azerbaijan SSR the Institute was named after academician Murtuza Nagiyev. In 1975–2002 academician Togrul Shakhtakhtinsky was director of the Institute. The main direction of the Institute of Theoretical Problems of Chemical Technology was the establishment of the scientific foundations of modeling and optimization methods in chemical-technological systems, the creation of conceptually new reactions and technological systems, including optimum projecting of the catalytic processes. Together with the founder of theory of recycling processes and chemical technologies academician Murtuza Nagiyev and prominent scientists like academicians Togrul Shakhtakhtinsky, Agadadash Aliyev, Tofik Nagiyev, Ayaz Efendiyev, corresponding member Gudret Kelbaliyev performed scientific studies. 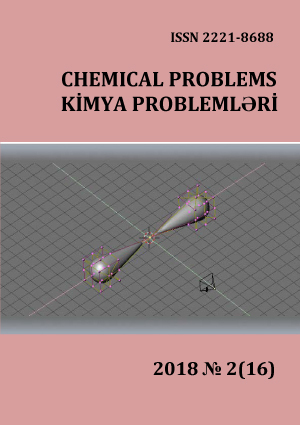 In 2002 by the resolution of the Cabinet of Ministers of Azerbaijan Republic the Institute of Chemical Problems was founded on the basis of the Institutes of Inorganic and Physical Chemistry and Theoretical Problems of Chemical Technology of the Academy of Sciences of Azerbaijan. Academician Togrul Shakhtakhtinsky was elected director of the Institute, worked at this post until 2010. Afterwards, in 2010–2014 director of the institute was academician Agadadash Aliyev, and from 2014 academician Dilgam Taghiev was appointed to the post of director. On April, 2014 the institute was renamed to the Institute of Catalysis and Inorganic Chemistry named after academician M.Nagiyev by the resolution of Cabinet of Ministers of the Republic of Azerbaijan. - several versions of complex processing of technological schemes of polymetallic sulfide ores have been developed; this scheme also enables to extract macroelements (iron, sulphur, copper, zinc) and rare and valuable metals as well. - gel-immobilized catalytic systems on the basis of metal-polymer complexes with grafted to rubber oxygen and nitrogen containing ligands have been obtained. Such catalysts swelling at high temperature behave chemically as homogeneous catalysts; on the other hand, they can be easily separated from reaction media as a heterogeneous catalyst and recycled. Over the last 5 years 21 grants were received for scientific-research works performed previously by the Institute of Catalysis and Inorganic Chemistry. Special Design-Technology Bureau for Complex Processing of Mineral Raw Stock established within the Institute of Inorganic and Physical Chemistry for the results of 32-year scientific technical activity was awarded 12 medals (gold, silver, bronze) of All- Union People’s Exhibition of Economic Achievements, USSR inventor badges, 20 inventions were applied in production. More than 220 certificates of authorship were received for the research works. 2 doctors of sciences and 25 PhDs on different specialties were trained. The results of investigations performed at the Institute over the last 80 years were presented in more than 6500 papers, 600 certificates of authorship, 60 foreign patents, 80 monographs, and more than 60 doctoral and 300 PhD theses were defended. At present there are 8 departments consisting of 30 laboratories, including “Center of collective use of apparatus for physical and chemical analyses”, departments “Scientific information and patent investigations”, “Scientific publications”, “International relations, grant projects and innovations” at the Institute. 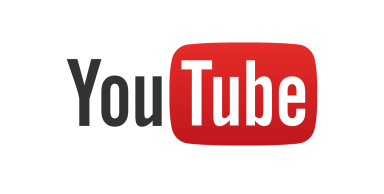 In 2014–2015 10 monographs, more than 250 papers were published in republican and foreign journals, as well as in journals included into Science Citation Index Database, abstracts were published in international and republican conferences, patents and favourable decisions were received, the works of institute employees were made many cites. In 2014 head of department of the Institute, academician Tofik Nagiyev was awarded State Prize of Azerbaijan Republic. 10 scientific-research projects submitted by the Institute employees won grants of Science Fund of State Oil Company of Azerbaijan Republic (SOCAR) and the Science Development Foundation under the President of the Republic of Azerbaijan. The number of employees is 483, including 4 academicians, 6 corresponding members of ANAS, 37 doctors of sciences and 157 PhDs (on chemistry and techniques). For recent 5 years 5 doctors of sciences, 30 PhDs (on chemistry and techniques) have defended. The achievements of the Institute were presented at the exhibition of Baku Science Festival (2014), I Republican Exhibition on Intellectual Property and Innovations (2015), and in International Exhibition on Oil and Gas (2015). Since 2008 “Young Scientists Council”, which from 2013 was renamed to “Young Scientists and Specialists Council” operates at the institute. In 2014 Young Scientists and Specialists Council held 3 republican scientific workshops. The council was one of the organizers of the 1st International Conference “Role of Multidisciplinary Approach in Solution of Actual Problems of Fundamental and Applied Sciences (Earth, Technical and Chemical)” of Young Scientists and Specialists dedicated to the 20 years of “Contract of the Century”. 3 members of the Young Scientists and Specialists Council took I, II and III places of grant competition of the Presidium of ANAS dedicated to 28th May Republic Day. One employee won II place, two employees took III place in the competition held between young scientists of ANAS with financial support of SOCAR Science Fund. 3 young scientists were awarded Academician M.Nagiyev award. Dissertation Council on the specialities of 2303.1 – inorganic chemistry, 3303.01 – chemical technology and engineering, 2316.01 – chemical kinetics and catalysis operates at the institute. In 2014 19 doctoral (7), and PhD theses (12) were defended. At present 30 PhD students and 26 postgraduate students carry out research works. The Institute cooperates with more than 40 scientific-research institutions and universities of Japan, Germany, France, Spain, Italy, Sweden, Holland, Denmark, Georgia, Turkey, Russia, Ukraine, Iran, Switzerland, Egypt, Arab Emirates and other countries, as well as universities and scientific institutions of the Republic. This cooperation was presented in many joint papers. In 2014–2015 2 international laboratories were created at the Institute: “Advanced Materials for Quantum Computing and Spintronics” (with Donostia International Physics Center“ of Spain); “Fundamental studies on synthesis and application of catalysts based on nanocarbon materials from oily caustobiolith” (with Berlin technical University of Germany, Huddersfield University of Great Britain Royal Scientific Society and Heat and Mass Transfer Institute of the National Academy of Sciences of Belarus). - Metal-string complex with 11 nickel atoms in its linear molecular ring, which is a perspective material in nanoelectronics as a molecular conductor was synthesized for the first time. This complex, which contains mixed valence nickel particles, is the longest (32.4Å) among other know molecular conductors. - Electrochemical obtaining method of thin films of Re-Se-Cu alloys based on rhenium chalcogenides was developed. These thin films with conversion and memory effect are perspective materials in the conversion of solar energy as a photoelectrode material in semi-conductors techniques. - For theoretical justification of controlling heterogeneous crystallization process a new equation connecting equilibrium coordinates of phase diagrams, thermodynamic and kinetic parameters of crystallization process in binary and quasi binary systems was obtained and theoretically proved by applying in different systems. - For calculation of efficiency level of stratification and separation of oil emulsion from water, quantity of separated water depending on time and installation for the process a new kinetic model of coalescence of water drops was created. - Semiconductor biomimetic electrode (Si) of catalase type the main working element of which is iron porphyrinic biomimetic catalyst, was first created. The high activity and sensibility of the electrode allow detecting the concentration of H2O2 to 10-6 mass %, and resistance to the effects of H2O2 facilitates its reuse. - New on the basis of optimal designing of the complex for processing of cracking and pyrolysis gases the new method of modeling and optimal designing for chemical-technological systems consisting of determining the optimal coordinated material and heat flows has been elaborated. - For the purpose of preserving long-term biological activity of doxorubicin antibiotics poly-N-vinylpyrrolidon and arabic gum nanobiocomposites comprising 14-18 nm Ag nanoparticles in carrier were synthesized for its immobilization. - Addition of molybdenum into the structure of carbide layer Cr-Ti formed on the surface of the steel SH-15, substantially increased its resistance to corrosion and erosion and thus the potential of pitting formation has been shifted to 200 mv in the positive direction. Such type steels processed by thermal diffusion can be used in many fields of industry, including military industry. - The new production technology of 98.5% pure benzene – raw material suitable for alkylation processes- from light resin of pyrolysis condensate has been first suggested. This method is energy- and metal-saving, economically profitable, differs with its technologically simplicity and avoids the hydroalkylation stage. yees – the title “Honoured Scientist”, as well as medals “For distinguished work”, “Tereggi” (Progress), N.S.Kurnakov medal, Honourary Diplomas of the Supreme Soviet of Azerbaijan and ANAS.